2018-11-27 News! 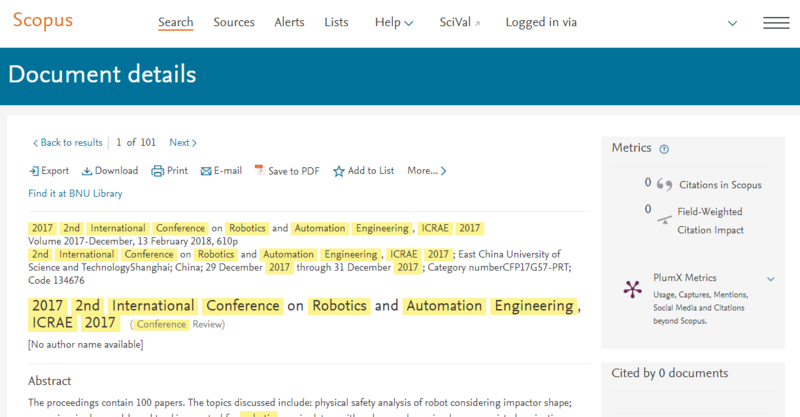 2019 4th International Conference on Robotics and Automation Engineering will be held in Singapore on Nov. 22-24, 2019. 2018-5-30 News! Welcome Assoc. Prof. Xie Ming, Nanyang Technological University, Singapore to make the keynote speech for us. 2018-5-22 News! Welcome IEEE Fellow, Prof. Han Xiong Li, City University of Hong Kong, Hong Kong to make the keynote speech for us. 2018-3-27 News! Welcome Prof. Chun-Yi Su, Concordia University, Canada to make the keynote speech for us. 2018-3-22 News! 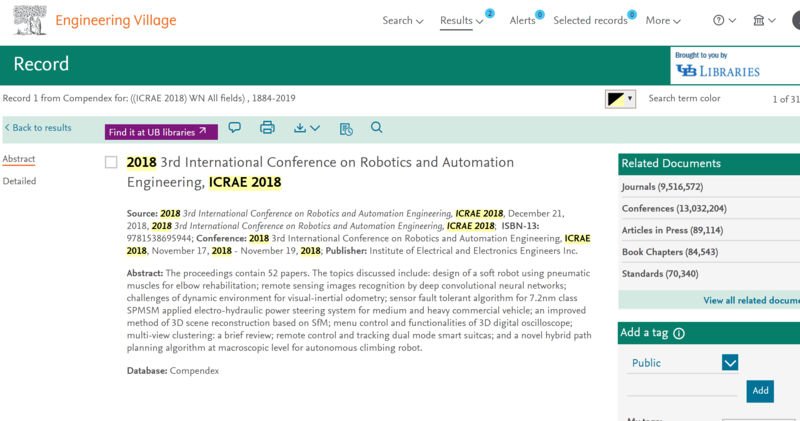 ICRAE 2018 website has been online. 2016-8-30 News! The ICRAE 2016 was closed succesfully in Jeju. 2016-5-31 News! 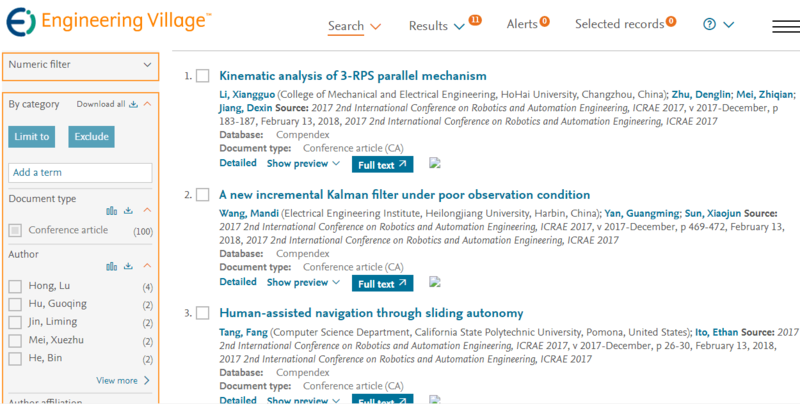 ICRAE 2016 can be checked on Sciencemeeting online, which is run by the chinese Ministry of Education. 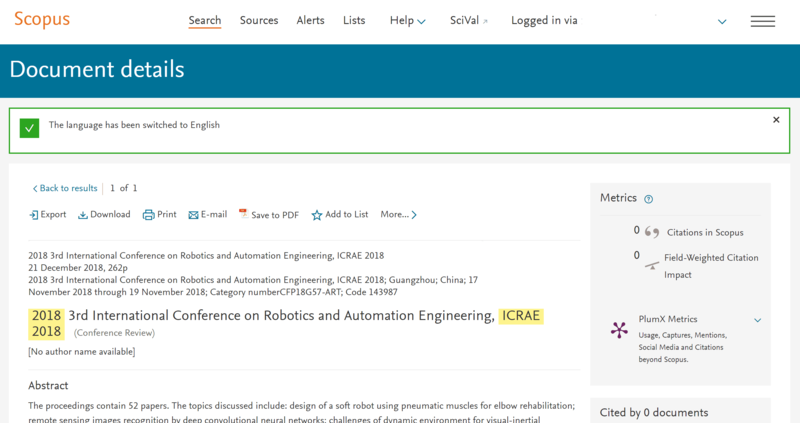 ICRAE 2016 已进入中国教育部学术会议在线!